Each year many of us make New Year’s resolutions. It could be to lose some weight or kick a habit, but I am going to do it a little differently and make some fishing resolutions for the New Year. This year I am going to go back to the basics and focus on my strengths as an angler. Over the past few years I’ve found myself wanting to try as many new techniques as possible and I think that has sometimes hurt my fishing. I think it is possible to be too versatile. Some guys make it look easy and can excel at each technique, but for me, there are a handful of techniques that I have the most confidence in and I am going to focus more on those. If you look at guys like Gerald Swindle on the Elite Series and Andy Morgan on the FLW Tour, they keep it very simple. Jigs, shaky heads, spinnerbaits and a handful of crankbaits is about all they need to compete and do well anywhere in the country. That is what I am aiming to do. I’ll be the first to admit that I am a tackle hoarder. Sure, it’s a part of the fun of fishing, but I want to downscale what I bring with me to tournaments. There were times last year where I had so many rods on the deck that it was hard to strap them down. That is going to change. This may seem a little odd, so let me explain. I am a huge fan of watching fishing videos online and view everything I can find. Lately, I have really enjoyed watching old Bassmaster and FLW tournaments from the 80’s and 90’s that are on YouTube. While watching a video from a late 90’s FLW event on Ross Barnett, Rick Clunn said something that really made an impact on me. He won the event fishing a buzzbait but he particularly chose that bait because of the wildlife. Early in the event all of the alligators and birds were hunkered up and the fish were not very aggressive. Near the end of the event the gators had their heads up and the birds were feeding. This gave Clunn the clue to try a buzzbait because he figured that the bass would also be active and it led to him winning the event. I plan to pay attention to the wildlife much more from now on. This next one also comes from Clunn from one of the videos and it really made sense. As bass anglers, we are all trained to notice good looking banks. We all know what looks good and what doesn’t, and that means all of the great looking areas get hit by everyone. I am going to make a conscious effort to fish more of the “nothing looking banks” that do not get as much pressure as other parts of the lake. 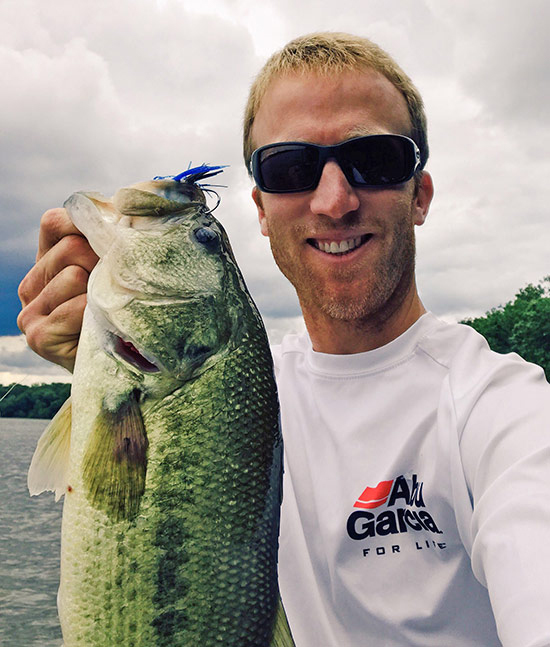 Many professional anglers spend weeks on a body of water before it goes off limits. They spend hours idling and marking spots and for some guys, it works really well. I have learned it doesn’t help me as much and tends to hurt sometimes as I may burn a day of the official practice just checking structure I previously marked. I will still pre-practice some if I have never been to a lake, but I will do it differently going forward. I also plan to fish some waters that we will likely visit again. Lake St. Clair in August and early in the year on Okeechobee are common stops for us. So even though they are not on the schedule for 2018, I am going to fish Okeechobee in January and St. Clair this August to hopefully teach me a few things that will help next time we visit. I think it is natural as competitors to take a look at the standings and try to see how you stack up against others. This is true whether you are a club angler or seasoned pro and I think it can be really counterproductive. I am going to make an effort to not compare myself to other anglers and how they did and just fish my strengths and do the best I can each day. It sounds simple, but it can really make a difference. This is something I try to do each year as I evaluate the last season and prepare for a new start. What are your fishing resolutions?